The stereotypical Western view of Saudi Arabia is that of a traditionalist and religious society averse to any form of change and progress, i.e. a society dominated by an ultra- conservative and fundamentalist religious class which, in the name of faith and tradition, is hostile to any kind of change and reform. In reality, there is more to the socio-religious landscape of Saudi Arabia than what is suggested by this view. The talk aims to trace the intra-salafī debates on fiqh al-wāqiʾ (jurisprudence of reality) proposed by the Saudi saḥwī reformist movement as the main conceptual framework to restore the relevance of Sharīʿa in society and to establish a credible and socially relevant religious discourse for modern times. 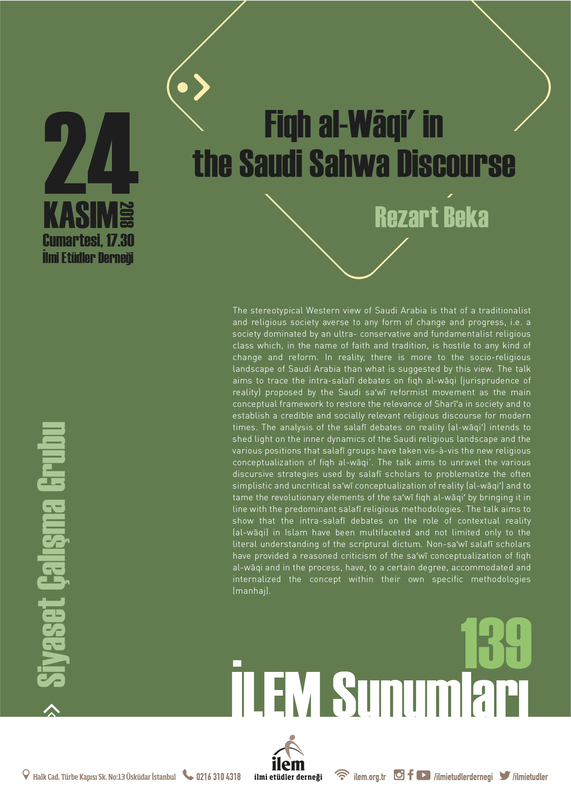 The analysis of the salafī debates on reality (al-wāqiʿ) intends to shed light on the inner dynamics of the Saudi religious landscape and the various positions that salafī groups have taken vis-à-vis the new religious conceptualization of fiqh al-wāqi’. The talk aims to unravel the various discursive strategies used by salafī scholars to problematize the often simplistic and uncritical saḥwī conceptualization of reality (al-wāqiʿ) and to tame the revolutionary elements of the saḥwī fiqh al-wāqiʿ by bringing it in line with the predominant salafī religious methodologies. The talk aims to show that the intra-salafī debates on the role of contextual reality (al-wāqiʾ) in Islam have been multifaceted and not limited only to the literal understanding of the scriptural dictum. Non-saḥwī salafī scholars have provided a reasoned criticism of the saḥwī conceptualization of fiqh al-wāqiʾ and in the process, have, to a certain degree, accommodated and internalized the concept within their own specific methodologies (manhaj).